3. Select your Ship Service, Package Type, and fill out the weight and dimensions of the package. Once everything is filled out, press the calculator. 4. This will show you your calculated price for shipping. 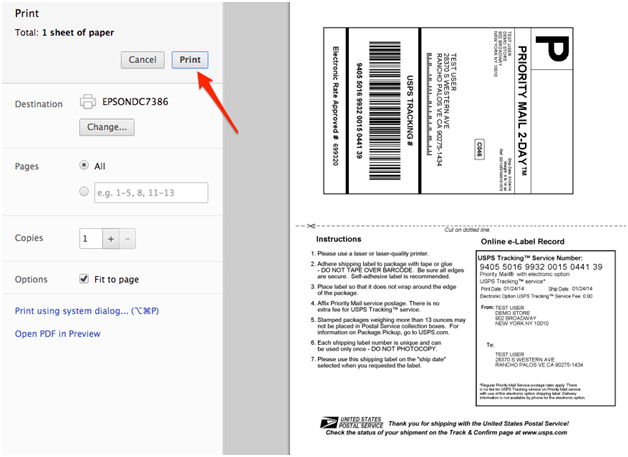 Once you confirm that the shipping price is correct, click process shipment. 6. A new window will open up with your label. You can now press print in your browser.